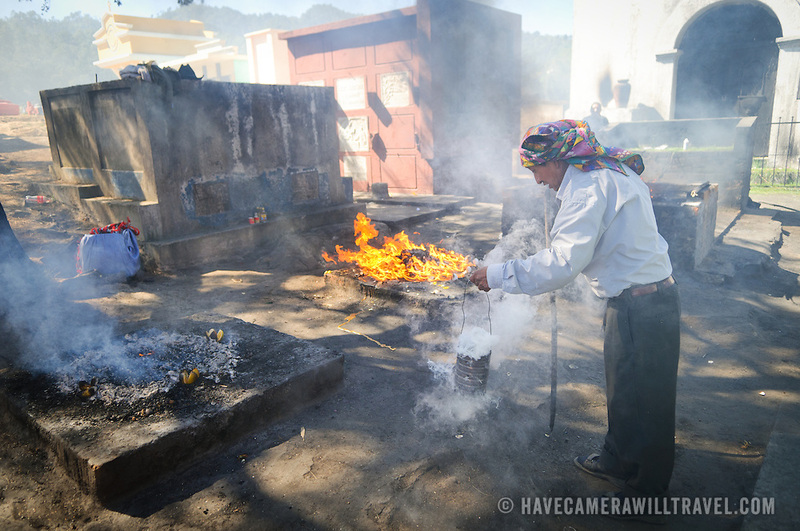 Local shaman perform a traditional K'iche' Maya ceremony using censers with smouldering incense and copal resin at a section of the town's cemetary on Chichicastengo's outskirts. Chichicastenango is an indigenous Maya town in the Guatemalan highlands about 90 miles northwest of Guatemala City and at an elevation of nearly 6,500 feet. It is most famous for its markets on Sundays and Thursdays.